When it comes to business and marketing the large corporate companies have a great number of advantages over their smaller counter parts. With access to greater resources, staff and money it can be very difficult for a small business to compete effectively against the larger, better known brands. However, you don’t have to look too far to find an array of small business success stories. So what is the secret to competing effectively in business and marketing as a small company? The answer is niche target marketing. Logically, you would think that, by marketing and appealing to as large a market as possible, you would get more sales than if you were to focus your efforts on one customer group or type of customer. The opposite in fact is true. A phrase that I tell people all the time is “If you try to market to everyone you will get no one as everyone thinks they are someone”. In essence, what I am saying is that, as consumers, we all believe we are unique, different, special and important. We don’t want to look, sound or be portrayed as the same as everyone else. We want to feel (and the emphasis is on feel) that the product or service we are purchasing is made for us. How often have you read or heard the word “bespoke” on a company’s website, marketing literature or pitch? This is because they are trying to convey the feeling of it being made especially for you. It is obviously not possible to create a new message per customer so you have to create a general marketing message that has the same appeal as if you had created it for them alone. This is done by identifying your most profitable target market and then developing a brand and message that appeals directly to them. Now I know that you are thinking “but what about all my other potential customers, won’t this put them off?” The answer is an emphatic NO. If you do create a general message that tries to appeal to everyone you will find you get no one just as my earlier statement says. This is because it simply won’t appeal to anyone at all. Customers are too marketing savvy and cynical now. After the recent recession we lost our faith in big brands and corporate companies. This was very much due to the fact that the recession was caused by the banking crisis when banks were once a British institution. That loss of faith in something we believed in was solid and unbreakable and has resulted in a) the recession and b) our loss of trust in big corporate institutions and therefore large faceless brands. So what does this mean for small businesses? There is an unprecedented opportunity for small businesses to target and appeal to small niche customer markets that large corporate companies are now struggling to engage. The bigger companies are fighting to win back our trust and faith in them. You can see evidence of this all around you. For example, the recent Coke adverts taking us on a nostalgic trip down memory lane of their past 125 years of adverts, Hovis and Fairy liquid are using the same strategy and none are fighting harder to win us back than the supermarkets. If you look on the side of your Tesco milk bottle or packet of sausages you’ll see a picture of the farmer who produced the goods. This is an attempt to put a face to the Tesco brand to engage with us. Another reason why we as small businesses cannot market to a huge market of customers is because we just don’t have the same resources or money as the larger corporate companies. 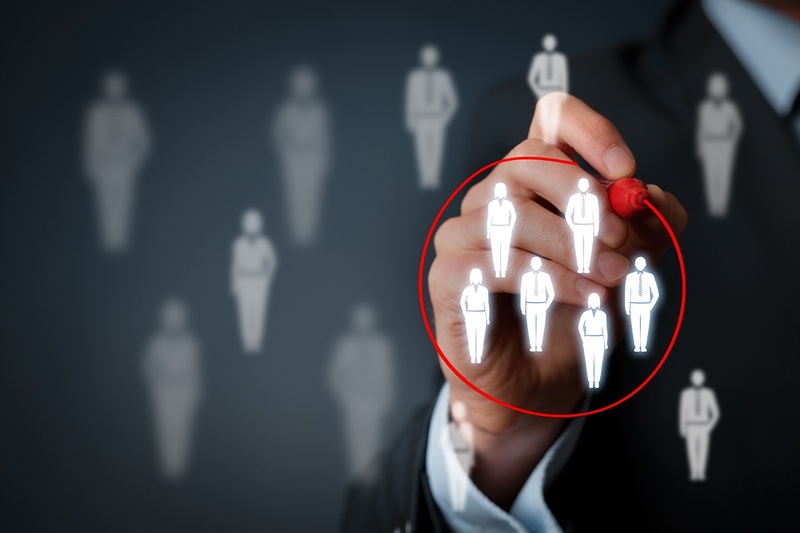 To effectively target and reach huge customer groups you need a bottomless pit of money. Lack of funds is one of the main reasons small businesses struggle to get their message out to their customers, particularly if it’s a very wide customer market they are trying to target. However, niche target marketing is a game that small businesses can win because we can be more flexible and more personable. Because we do not have the same overheads or costs of running a business that the large companies have, we do not need to target the whole market. We can simply focus on one customer group and make sure we are the best we can be in our market thus making us market leaders. The only way small businesses can compete effectively and achieve the competitive advantage against our larger counterparts is by targeting, appealing to and servicing small niche customer markets. To be successful you have to find your most profitable target market and focus your brand, marketing and promotional activities on appealing to them. Do you agree? What do you think about niche marketing? What is your niche market and what makes you better than your competitors?